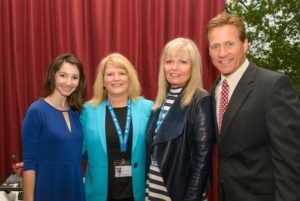 On Friday, May 5, 2017 Jeff Hogan, WBNW 10TV News Anchor, welcomed students, parents, educators and community supporters to Syntero’s 2017 Catalyst for Positive Change Awards Banquet. Seventeen schools were represented with 72 students recognized for the commitment to community service. Through the application process students were asked to illustrate how their activities supported seven principles of the Catalyst for Positive Change: Trustworthiness, Respect, Responsibility, Fairness, Caring, Citizenship and Community Service. Keynote speaker Sarah Nerad shared her story of addiction and her recovery from drug and alcohol addiction since 2007. Sarah was instrumental in creating the OSU Collegiate Recovery Community (CRC), a support program designed to help students in recovery. The educator and student award recipients from each school were recognized for their efforts before Syntero CEO Julie Erwin-Rinaldi offered closing remarks. She congratulated all students and their families as well as all the people who support the good work these students do every day. We are happy to share photos of all our student award recipients here. Photo credit – Cilento Photography! Our event celebrates local high school students who are “Catalysts for Positive Change” in our community – involved in making the lives of others better and embodying the characteristics of trustworthiness, respect, responsibility, fairness, caring and citizenship. Keynote Speaker: Sarad Nerad with the Ohio State Recovery Community – an adult Catalyst for Positive Change. Plan to join us! Various sponsorship opportunities available. For additional information and to reserve table space, download our brochure or contact Kimberly Reynolds. Syntero’s annual awards breakfast will be held on Friday, May 1, 2015 from 7:30am-8:45am at the Boathouse at Confluence Park. This historical fundraiser supports our school based services which include prevention, teacher trainings and consultation, parent education and coaching, specialized groups for at risk students, grief response teams, and trauma services. The event was created in 1992 to honor a group of outstanding high school students for their contributions to the community. 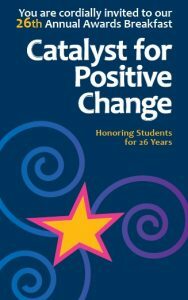 This breakfast ceremony, “Catalyst for Positive Change” will focus on students who: are involved in making the lives of others better; are actively involved in their community at large; embody the characteristics of trustworthiness, respect, responsibility, fairness, caring, and citizenship. Ninty students from nineteen participating high schools will receive this special recognition along with their parents and school administrators. Local businesses and civic leaders will also join us to pay tribute to these impressive students. Too often our clients are faced with problems and risks such as violence, grief and loss, alcohol and other drugs, depression, divorce, and stress. Your support of this event will help directly in the delivery of prevention, treatment, and education services. These programs help our clients become catalysts for change in their own lives and on the road to recovery and overall health and wellness. Show you care by lending your support to these outstanding students, their families and their high school communities! Reserve a table for your business or organization, or donate your table to a group of students and their parents. 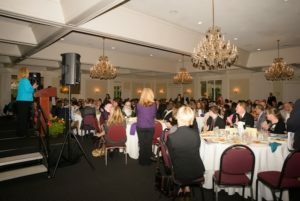 Table sponsors are recognized during the breakfast and all sponsors are listed in the event program. Our keynote speaker is David Brown, founder and creative director of the Harmony Project. Harmony Project connects people from different generations, points of view and cultural experiences through musical training and performance while working side-by-side in collective community service. Our emcee will be Jeff Hogan, morning news anchor for WBNS 10TV. If you would like more information, please contact Lucy Smith lsmith@dublincounselingcenter.org or (614) 889.5722. The All Star Salute awards breakfast is a historical fundraiser to support our school based services which include prevention, teacher trainings and consultation, parent education and coaching, specialized groups for at risk students, grief response teams, and trauma services. The event was created in 1992 to honor a group of outstanding high school students for their achievements in academics, school activities and for their contributions to the community. embody the characteristics of trustworthiness, respect, responsibility, fairness, caring and citizenship. also brings school, business and civic leaders together to pay tribute to such an impressive group of students and their families. Too often our clients are faced with problems and risks such as violence, drugs, depression,divorce, and stress. To help them cope, prevention and educational services are vitally important to the future of the agency and the northwest communities we serve. 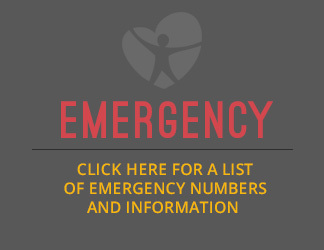 Your support will help us reach all the children and families who need our help. 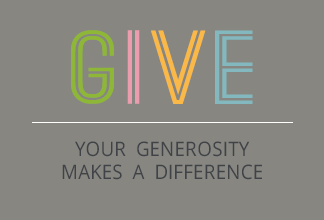 Show you care by lending your support to these outstanding students, their families and their high school communities! Reserve a table for your business or organization, or donate your table to a group of students and their parents. Table sponsors are recognized during the breakfast, and all sponsors are listed in the Catalyst for Positive Change Program. This year’s event will be held on Friday, May 9th, 2014 at the Boat House at Confluence Park located at 679 W. Spring Street. Our keynote speaker will be David Brown, founder and creative director of The Harmony Project. Harmony Project connects people from different generations, points of view and cultural experiences through musical training and performance while working side-by-side in collective community service. (For more information on the Harmony Project, visit their website at www.harmonyproject.com.) Our emcee will be Colleen Marshall, Co-Anchor, NBC 4. If you would like information about this event, please contact Mary Ann Lewandowski at (614) 273-2951.